Do you like the photographs on this site? Most of them were taken by Athena at horse shows and private farms. 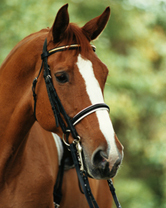 If you'd like photographs taken of your horse, contact Athena. She'll photograph horses at horse shows, race events, or your farm. Get a group of friends together for the best rates. She shoots with a digital Nikon SLR and provides you with a CD of your photographs. When not on the road with horses, Ms. Haresign is a business and marketing consultant - don't worry, your horses are in good hands, even if Athena isn't doing the hauling! Do you have a small business idea, but need help putting together a business plan? Not sure how to effectively market your services? Look no further! When not promoting and operating the Horse Jitney, Athena consults with small businesses in many industries developing business plans, marketing plans, and marketing materials. Are you making the most of the Internet? Do you know how to effectively use the Internet to attract and retain customers? Not sure how your business can benefit? Athena has been developing effective e-business strategies since 2000 when she co-founded VetInsite, an innovative portal solution for pet owners to communicate with their clients. Let her help you succeed online. Need help establishing an online presence? Athena can help you identify website features that work, and the common pitfalls to avoid. Need a quality website at a reasonable price? Discuss your needs with Athena - chances are she can help, or knows someone who can.